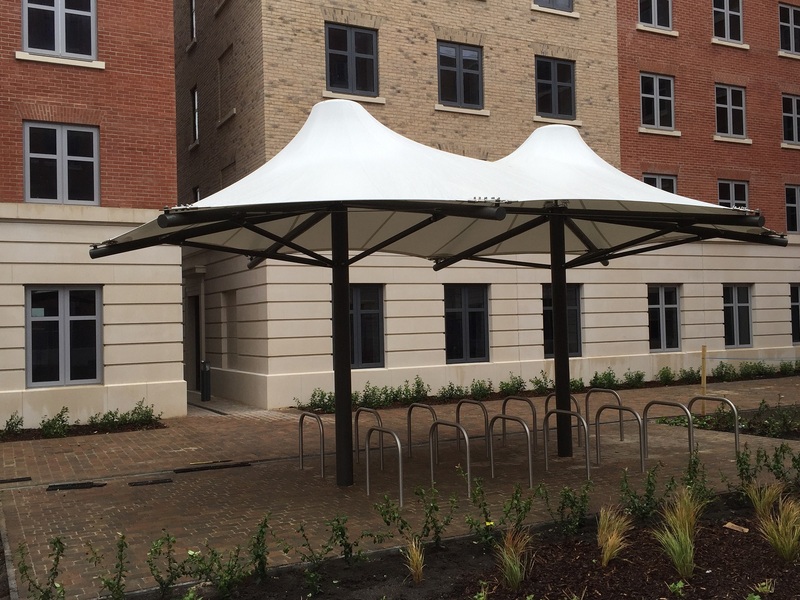 Following the successful completion of two previous cycle shelter canopies on the same Bay Campus development, AJ Tensile Tension Structures Ltd was awarded the contract for the third phase of redevelopment at Swansea University by main contractor Vinci Construction. 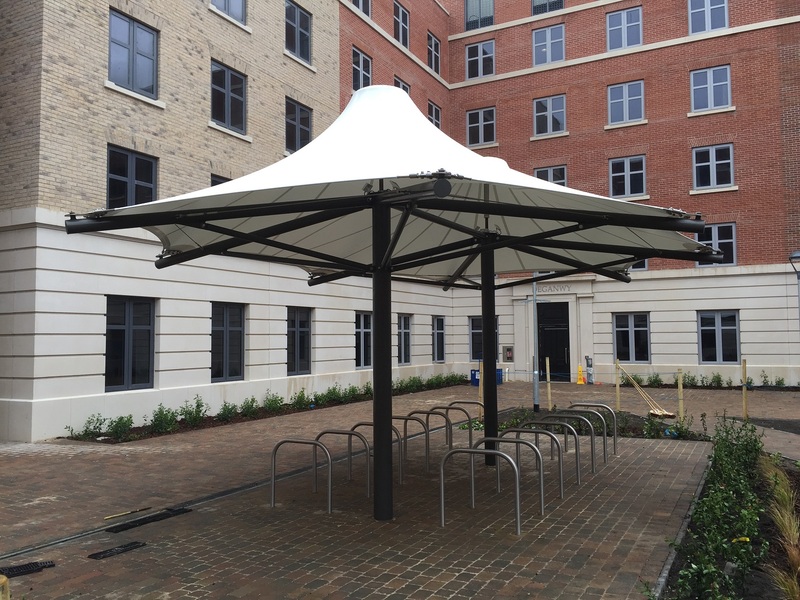 This phase of the project consisted of the engineering, manufacture, supply and installation of two 8m x 6m double conic tensile fabric canopies from our standard range of products, complete with 28 stainless steel cycle stands. 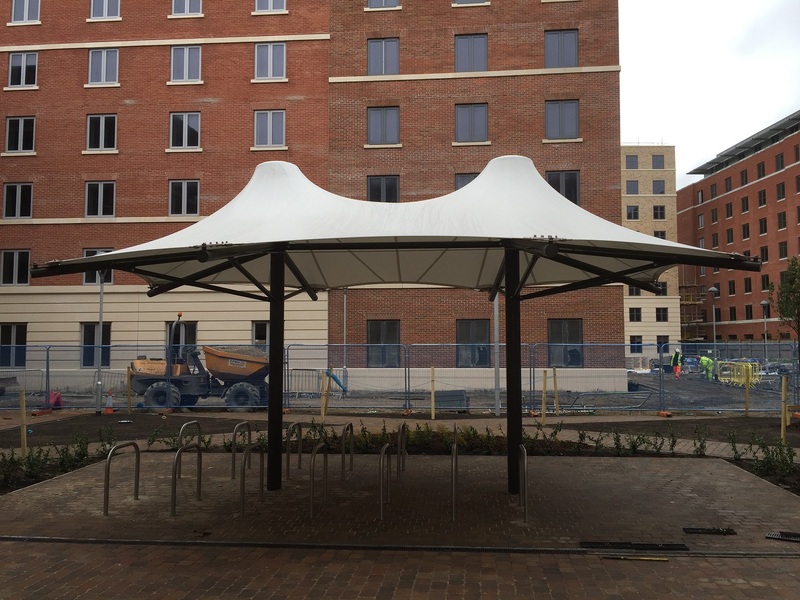 Fabrication of the tensile fabric was performed by sister company AJ Tensile Manufacturing Ltd.
Each canopy was installed over a three day period by three men, with a gap of five weeks between them to fit in with the overall site construction programme. The project was completed successfully on time and within budget.